If you have been sewing on a mechanical or electrical sewing machine for a long time, you must have become an experienced crafter. Now if you want to enhance your sewing skills or make your job a lot easier, consider getting a new digital sewing machine. Digital sewing machines are more expensive than other types of machines but they are worth the price. This is because they are easier to use and come with advanced features that will simplify your projects. There are tons of digital sewing machines currently available in the market. This can make it hard for you to find a model that best suits your needs. 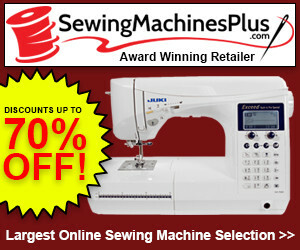 To help you out, we will list the best digital sewing machines and discuss their features and capabilities. However, before we talk about amazing models in this category, let’s talk about some advantages that you can get from using digital sewing machines. When you are sewing, you want your work to look great without you committing a lot of time to menial sewing chores. Digital sewing machines can control the thread tension and provide an autopilot mode to make your task much easier. Not only that but you can also connect these machines to the internet and download firmware updates to ensure that your machine keeps performing at its best. Since a digital sewing machine can connect to the internet, you can download embroidery and stitching patterns directly. Browse the websites and find the patterns that would be best for your project. Digital sewing machines also give you the option to customize the patterns stored on the machine and the ones you download. You may take a pattern, change its color and size, and make more adjustments to create something that meets your requirements. Yes, this is all possible with a digital sewing machine. Many digital sewing machines come with training materials. This means that even beginners who’ve never used a sewing machine can learn how to operate it. Some machines have tutorials that can help you understand their features and operations. If you are looking for a basic digital sewing machine, you will be able to find a good one for under $300. If you want an industrial grade digital sewing machine, then you would have to spend over 1000 bucks. Most digital sewing machines that have plenty of advanced computerized features and built-in stitches will cost less than $500. You should consider your needs and the type of work you intend to perform when you are looking to buy a digital sewing machine. If you are looking for a digital sewing machine that offers good features without carrying a hefty price tag with it, then you would definitely love the Janome DC2013. It is a budget-friendly digital sewing machine that comes with 50 built-in stitches including three buttonholes. You can easily select any stitch with a button. The machine also has the exclusive superior feed system (SFS) that assists in delivering remarkable stitching quality. The halogen lighting included at stitching point will help you finish off the stitches with ease. The Brother CS6000i is another inexpensive digital sewing machine that comes packed with tons of impressive features. This machine has 60 built-in stitches and seven buttonholes. The stitch width and length can be easily adjusted with a small button under the LCD display. The usability of the Brother CS6000i is exceptional. Even someone who has never sewed before could learn to use this digital machine in no time. 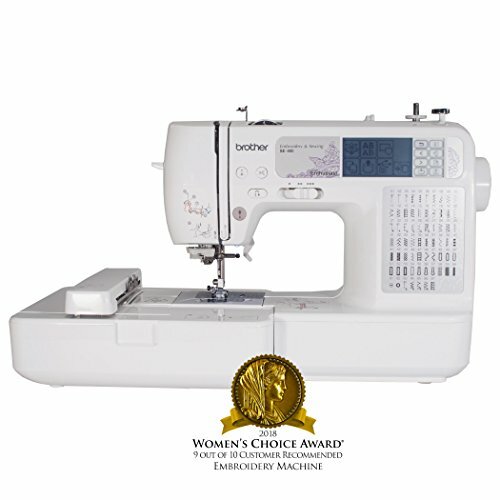 Some amazing features that are found in the Brother CS6000i include variable speed control, auto needle threading, and push-button sewing. An extra-wide sewing table is also there which would help you in your quilting projects. A manual that comes with the Brother CS6000i clearly demonstrates the functions of this machine and how you can use it. So, if you are looking for a beginner-friendly digital sewing machine, then Brother CS6000i is definitely worth the consideration. The Singer 7258 is another great digital sewing machine that comes with plenty of advanced features. The machine has 100 built-in stitches which can make decorative sewing, fashion sewing, crafting, heirloom sewing, and quilting easier. This portable and stylish sewing machine is easy to operate and will help you complete your projects with greater efficiency. The heavy-duty metal frame of the Singer 7258 makes it durable while the large LCD screen allows you to easily view your selected stitches as well as their width and length. You can also adjust the stitch width and length according to your requirements. The Singer 7258 has several other features including built-in reverse, six-segment feeding system, horizontal threading, electronic start and stop, programmable needle up/down, automatic bobbin winding clutch, automatic presser foot pressure control, and speed control. Two bright LCD lights are also there to keep the sewing surface illuminated. 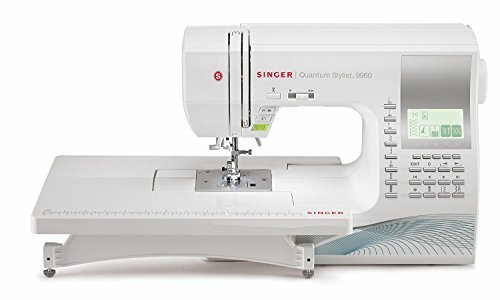 The Singer Quantum Stylist 9960 is one of the best digital sewing machines currently available in the market. This machine comes with 600 built-in stitches, five different fonts, and 13 buttonholes. The extra-wide extension table is also there that would make your quilting and embroidery work a breeze. 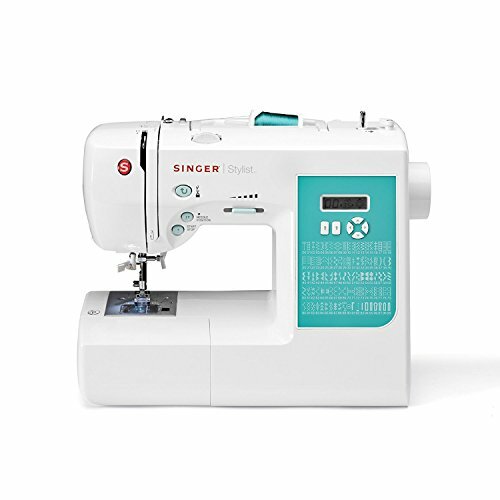 The Singer 9960 is easy to set up with its automatic bobbin and automatic threading features. It has several impressive features including optimum power control, automatic locking stitch function, electronic autopilot, mirror imaging function, automatic presser foot pressure control, direct button stitch selection, extra high presser foot lifter, and center zigzag taper. You can give every project a personal touch using the built-in stitches and stunning fonts. Create customized projects by mixing lettering and stitches. With the speed control function, you can set a faster speed for long seams and a slower speed for more intricate sewing projects. The top drop-in bobbin can be easily seen so you would know when you are about to run out of threads. When you are stitching, you only have to press the thread trimmer button to cut both the bottom and upper thread. The Singer Quantum Stylist 9960 has all the features you would need as an advanced sewer. Since functions are a little complicated, we don’t recommend this digital sewing machine for beginners. 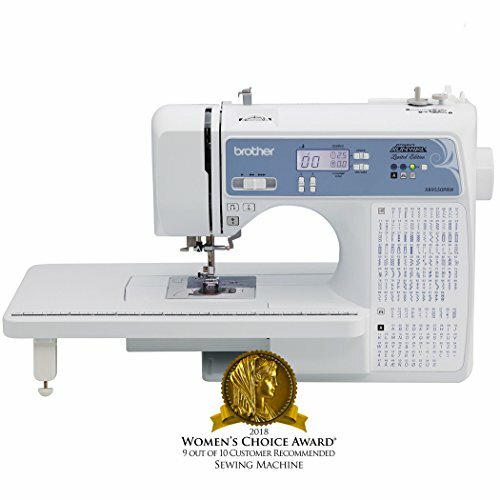 Brother Designio Series, DZ2400, Computerized Sewing and Quilting Machine Price: $210.99 "I am extremely happy with this machine and I now enjoy sewing instead of dreading it!" If you are an advanced sewer and are looking for a digital sewing machine to improve your workflow, then Brother DZ2400 could be a good option. This machine comes with 185 built-in stitches that will help you expand your quilting and sewing skills. It makes creating professional and elegant buttons easy, thanks to eight styles of 1-step buttonholes that are sized automatically to fit your buttons. 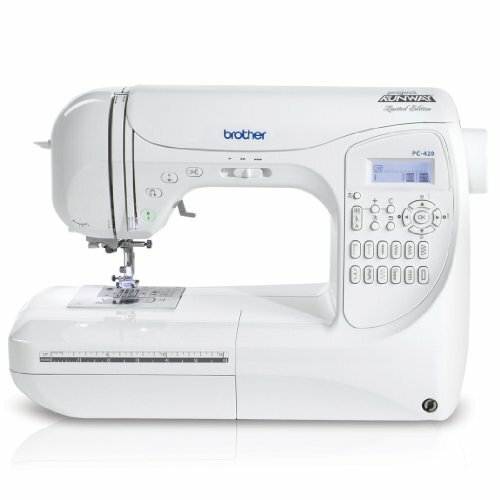 The Brother DZ2400 has an easy needle threading system. All you have to do is press the lever located on the side of this machine and the DZ2400 will automatically thread the needle. So, you won’t have to strain your eyes in getting the thread through the eye of the needle. 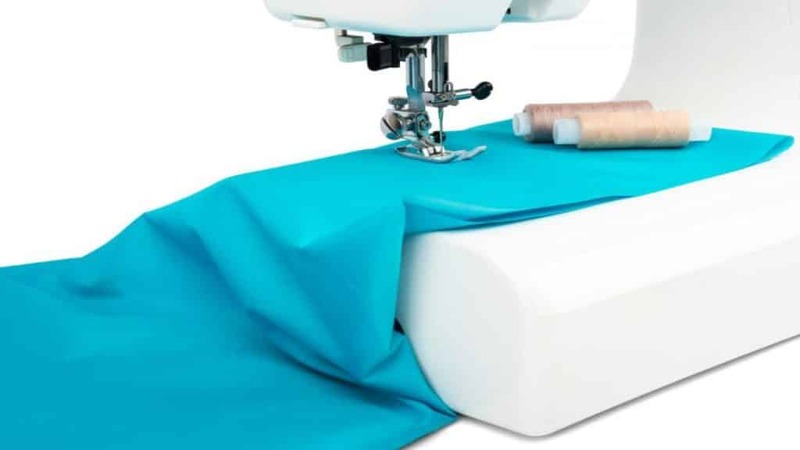 For sewing costumes and formal wear, the Brother DZ2400 offers a wide table. This machine also has an LED to light up the working area. The stitches can be easily selected and adjusted as they are displayed on the LCD screen. You can also control the speed of the machine with the variable speed control function. The accessories that come with the machine include a foot controller, power cord, accessory bag, operating manual, zigzag foot, zipper foot, buttonhole foot, button-sewing foot, blind stitch foot, overcasting foot, monogramming foot, walking foot with quilt guide, quilting foot, ¼ piecing foot, and stitch guide. We recommend this digital sewing machine to advanced crafters as beginners will have a hard time understanding the operation and features of this machine. 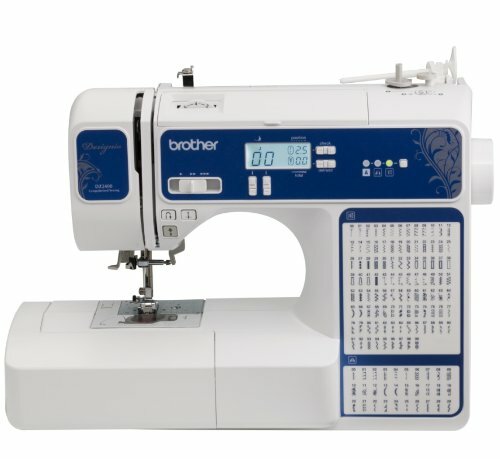 Brother XR9550PRW Project Runway Limited Edition Price: $190.68 "This is a gem for monogramming, quilting, plus 100 stitches. Bought it with little hesitation. Every stitch comes out perfect." The Brother XR9550PRW is an ideal digital sewing machine for skilled dressmakers and it certainly won’t disappoint them. Packed with several powerful features, this machine comes with 110 built-in utility, heirloom, and decorative stitches. A wide table is there to make your quilting work easier. The Brother XR9550PRW is easy to use and is built for flexibility and durability. The automatic needle threader is included in the machine which pushes the thread right through the eye of the needle. You can easily choose your stitches with the push-button stitch selectors and see your stitch settings on the LCD screen. Eight presser feet come with the Brother XR9550PRW including zigzag, zipper, buttonhole, button sewing, blind stitch, overcasting, quilting, and monogramming feet. The Juki HZL-F600 is one of the finest digital sewing machines but it comes with a hefty price tag. This machine gives you access to the box feed technology and comes with an extended sewing table for embroidery and quilting work. There is no fabric shrinkage at all even if you are sewing on the lightest of materials. You can also perform free motion sewing, thanks to stable and consistent thread tensions. This industrial grade digital sewing machine can sew through thickest of materials. 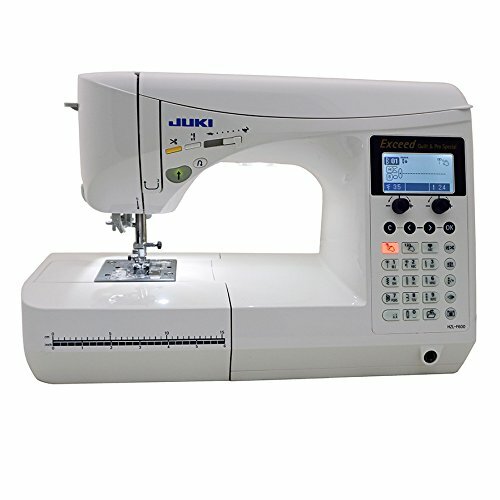 If you are looking for a digital sewing machine to handle heavy fabrics, then Juki HZL-F600 could be the right option for you. The Brother SE400 is an award-winning embroidery machine that is perfect for both beginners and advanced sewers. It comes with 70 built-in embroidery designs and 67 built-in stitches. There are also five embroidery letter fonts and 120 frame patterns included in the machine. You can easily complete home décor, crafting, sewing, and embroidery projects, thanks to all the built-in designs and stitches. The Brother SE400 can connect with computer to download machine updates and import embroidery designs from the system. Features like touchscreen LCD and automatic needle threader make working on this digital sewing machine easier. The easy bobbin-winding system, push-button threader cutter, and drop-in top bobbin add further convenience to your embroidery and sewing projects. The large 4×4-inch embroidery area will help you complete your quilting and embroidery projects with ease. Built-in tutorials are also included in the machine which would help you understand the functions of this powerful digital sewing machine. 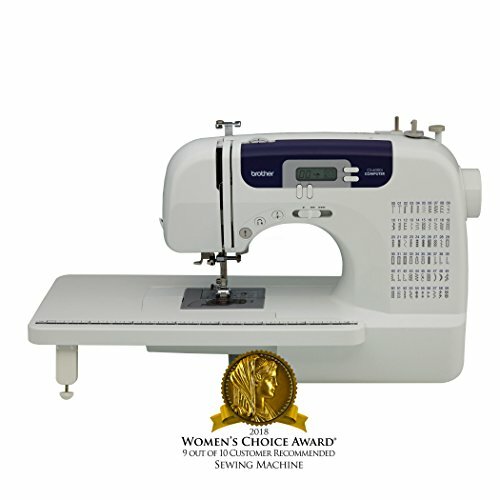 One of the top digital sewing machines on this list, the Brother PC420PRWi is packed with impressive features to help you achieve professional results. Select from 294 built-in stitches or design your own using the exclusive “My Custom Stitch” feature. You can also save your custom stitches in the machine’s memory for future use. In addition to the 294 stitches, you get ten styles of 1-step auto-size buttonholes and three lettering styles. Eleven presser feet are also included in the package to help you achieve designer-level finishing. Specialized feet will make monogramming, quilting, and blind hems work easier for you. The levels of customization and precision achieved through this digital sewing machine will take your projects from good to great! As you can see, there are plenty of digital sewing machines out there. We have discussed some of the best digital sewing machines and their features and capabilities. Now, it is up to you to select the one that you find most suitable for your work. If you are an advanced crafter, you can pick a machine that comes with several built-in stitches and features. 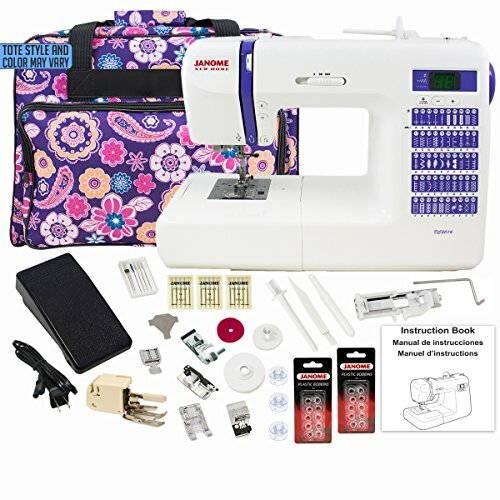 On the other hand, if you have just started sewing and want to gain some experience, use a digital sewing machine with a few built-in stitches and basic computerized features. Take your time to study the features and functions of each machine before you decide to make a purchase.